Your wife is amazing. She’s incredible. Face it. You don’t have words to describe how wonderful she is. You love her to the ends of the Earth, and you would do anything in the world for her. And yet, whenever it’s time to buy her a gift, you fail. Maybe you’ve given her a lot of clunkers in the past. Maybe you’ve forgotten a few special occasions, or maybe you’ve never really had the means to get her something that she really deserves. Or maybe she’s just really hard to shop for. Yeah, that’s right. Your wife is just really picky. You would be a lot better gift giver if she weren’t so particular, right? The truth lies probably somewhere in a combination of these factors, but at the heart of the matter is the fact that you really want to get her something that she likes. When you give her a gift you want it to be as special, and amazing, and wonderful as she is. That’s a tall order, and with those kinds of momentous expectations piled on, it’s no wonder that you fail. You can’t get a gift that’s as incredible as she is, you just can’t. You might not be able to buy her diamond earrings, or a new car either, but in spite of these obstacles, you can still do a phenomenal job. Getting the right gift is first and foremost about thought. You might think that’s a dumb phrase designed for people who have no money, but it’s actually true. It is the thought that counts. You aren’t going to come up with a great gift unless you put in the work, and the thought. So don your thinking cap and peruse this list of the ten best gifts for your wife, and you are bound to find just the right gift for any special occasion. Hand wash with a damp cloth. Is your wife always misplacing her phone at night? Does she always seem to find a way to get it wedged into the couch cushions, or lose it in the bottom of her enormous purse? And is her phone also pretty much her life? Does she use it to read the news before bed and as an alarm to wake up in the morning? Her phone is probably only slightly less important to her than you are, so why not give her a convenient and beautiful place to put it? This sleek, minimalist vase does double duty. It’s a real multi-tasker, which she’ll likely appreciate. And she’ll appreciate it more if you fill it with fresh flowers when you first give it to her and remember to periodically refresh those flowers. You know, on a day that isn’t special. This is a gift that shows you’re being thoughtful, you’re thinking ahead, and you’re thinking of her even on days when you aren’t obligated by greeting card companies to do so. Inside this box, you’ll find 12 samples of some of our most sought-after women’s fragrances. Choose your favorite, and then take the included scent certificate to any US Sephora store* to redeem for a FULL SIZE of your favorite featured fragrance at no extra cost. It’s a fair bet that as long as you don’t opt for anti-aging or wrinkle fading cream, that anything you get from Sephora is going to be a hit. Even if your wife isn’t particularly frilly and doesn’t apply liquid eyeliner on a daily basis, there’s likely something within Sephora’s gleaming walls that will win her heart, and rank as one of the best gifts for your wife ever. The perfume sampler is one of those surefire hits. It works on lots of levels. For one, it’s a good value. The sampler includes ten samples of Sephora’s top selling fragrances with a certificate to redeem a full-sized bottle of her favorite. It’s also great if you know that your wife likes to wear perfume, but you feel totally adrift at sea when it comes to picking a scent she’ll like. Musky is good, right? No. A sampler is a safe, non-committal kind of gift. You literally can’t pick a wrong fragrance because you picked ten of them. And in the end she gets to pick the one she likes best, and what wife doesn’t just really want to pick her own gift to begin with? You might not spend a lot of time on Pinterest looking up meal-prep recipes, or ways to use ice cube trays to store jewelry, but your wife probably does. While she’s there seeking organizational and cooking tips, she’s probably run across this chunky knit blanket a million times. If you check her pinned boards you’ll probably find at least two or three step-by-step guides that were supposed to inspire her to knit this for herself. It looks so easy. You just need chunky yarn and your own two arms to act as knitting needles. What could go wrong? Your wife is probably pretty awesome at DIY, and although you know she could whip this together in snap, you don’t really want to give her another project. You want to give her a reason to relax, put her feet up, and take a well-deserved break. This chunky throw says all that and more. It’s beautiful. It’s warm and cozy, and she’s sure to be impressed that you even know these things exist. You can choose from two sizes and a variety of colors to match your home’s décor. The high-quality merino wool is soft, warm, and perfect for early mornings, late nights, and a rainy day with a book. If you’re nice she might even share it with you, but don’t count on it. LARGE CAPACITY: Our teapot is the perfect size; it brews 2-4 cups of tea, which is perfect for any small gathering. You know that getting your wife items for the kitchen can be a dangerous path to go down. You always want to make sure that the gift is for her and not for the home, and so you might be hesitant to think of household items as gifts for your wife. Your trepidation is warranted, but have no fear, this iconic Barchesco Ceramic Teapot is more than an exception to the rule. For one thing, if your wife loves to drink tea she’ll appreciate the functionality of this stoneware pot. Pair it with a matching mug, or one with a cute phrase, a box of fancy teas, and you just won gift giving. This teapot also works if your wife has an eye for art, or design. Its bold seventies inspired pattern is fun, and it strikes a nice balance between kitschy and sophisticated. 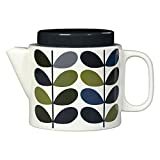 It will look great sitting out on the kitchen counter, which means she doesn’t have to worry about fighting for cabinet space, and she’ll be offering to make guests tea just so she can show it off. You might not be well-informed about stationery companies, but Rifle Paper is pretty much the be-all-end-all when it comes to greeting cards, tote bags, calendars, and personalized correspondence. Their whimsical illustrations often feature floral themes in bright, happy colors, and their collaboration with Keds showcases everything consumers love about the brand. These shoes are bright, bold, and most of all, fun. You’ll have to know you’re wife’s shoe size for these, but once you figure that you, you’re literally a shoe-in for best gift. The shoes themselves are the classic Keds canvas, designed for comfort, warm weather, and a walk on the boardwalk. The floral pattern can help dress up a casual outfit, and they’re easy to throw on no matter what the occasion. Buying your wife shoes is probably a minefield similar to buying her jewelry, but this pair is trendy without trying too hard, and comfortable without being clunky. What’s not to love? Some special occasions call for a gift that’s really special, and this is one of those gifts. 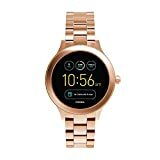 The Fossil Q smart watch works with both Android and iPhone cell phones, and it allows the user to synch email, text messaging, and a whole host of other apps seamlessly between the watch and phone. Your wife can have her phone safely tucked away at work, but still steal a few glances at all of the adoring text messages that you’re going to start sending her. It’s also a great blend between a traditional watch and a smart watch. Because it is made by Fossil, it is above all else a beautiful watch. The problem with so many smart watches on the market today is that they don’t look like watches. They look like a clunky little computer, or a prop from a futuristic television show. The Fossil Q looks like a watch first, and a piece of technology second. Which means that you’re able to check a lot of boxes with this gift. It’s practically like getting her jewelry, but it’s also a way to stay better connected, stay current with technological trends, and get something that she probably wouldn’t buy for herself. 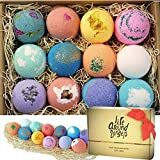 12 uniquely handcrafted bath bombs. Functional and relaxing. Great Mothers day gifts. You’ve probably turned to an Amazon search a time or two to find the best gifts for your wife, but navigating the monstrous list can be tricky. You’re bombarded by mugs with funny sayings and a plethora of silk bathrobes. It’s still hard to know what is and isn’t a good idea. But as hard as it is, you can never really go wrong with bath bombs. That is unless your wife hates to take baths. This is the part where you crank up that thinking cap and try to remember if she enjoys a good soak. If she does, then bath bombs are a sure hit. This collection is fancier than what she would probably buy for herself, and they are uniquely handcrafted to provide twelve different bathing experiences. That means that she can get twelve separate relaxing escapes from the hustle and bustle of the world, and probably from you too. Yes, she loves you, but an excuse to spend a little time away from you relaxing in her own thoughts is kind of nice too. Each bomb is bright, colorful, and powerfully fragrant. Plus, they come in a fancy package that looks like candy, but is so much sweeter. Buying a book for your wife is probably not something you’re used to doing unless it’s something that she’s already hinted at, or explicitly added to a wish list, but here is a great opportunity to take a chance. This New York Times best seller In the Company of Women is one of the best gifts for your wife because it is jam-packed with advice and inspiration from successful women who have all taken leaps, launched businesses, and pretty much done it all. A gift like this shows your wife how much you value her, and how much good you think she can do in the world. You know she has tons of cool ideas swimming around in her beautiful brain, and a book like this can help draw them out. You’ve always thought she was much more talented than her job lets her show, and reading about other powerful and successful women can help her see her own value too. This is a great gift if your wife is also a mother. You really can never go wrong giving her something with her children’s names or initials on it. Really. You can literally never go wrong reminding her of her wonderful kids. 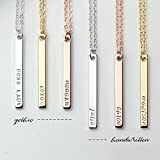 This hand-stamped personalized​​ bar necklace is a stylish way to do that. You can choose from a variety of finishes to pick the one that suits her best. For a little pro tip, you might want to check her jewelry drawer. If all her jewelry is, for example, silver, it’s a safe bet that she prefers silver. You might be unaware, but wives usually fall into the gold camp, or the silver camp, but usually not both. Discover a new favorite each night (or day, no judgement) with wines perfectly paired to wash away the lingering pumpkin spice lattes of your hectic day. It's not drinking, it's a wine tasting, and that makes it classy. Getting things in the mail that aren’t bills is super fun, and it’s even better when that something is a glass a wine. Gift subscriptions like this one from Vinebox deliver three to six samples of wine per month from all around the world. This is perfect if your wife likes to drink wine, or would like to become a more sophisticated wine drinker with a better understating of what she likes and doesn’t like, and what wines pair swell with what meals. She can learn a lot about wine, taste a lot of great wine, and you don’t have to do anything except sign her up. She can take a customized quiz, and get samples that are tailored to her. Getting the perfect gift for your wife is probably always going to take some effort, but you might also have a tendency to make it harder than it needs to be. This list should open your eyes to all of the simple possibilities out there and the ways they can be tailored to your wife as an individual. You may have had some terrible gifts for your wife in the past, but this time, with all these great ideas, you are finally going to prevail. The home television has gone through some pretty extraordinary changes throughout its existence. It’s amazing to think about all that ways that it has been able to adapt and remain an integral part of the family home. It’s gotten bigger, lighter, cleaner, sharper, and more vivid. It’s gone from being controlled by knobs to responding to the sound of your voice. It’s an incredible example of technological evolution, and it’s this evolution that has allowed it to thrive where so many other technologies have become hopelessly obsolete. Even as the boundaries of television itself, and the ways people watched it, have changed, the TV still endures. It’s great that you can stream movies and shows on your smart phone, or your tablet, but the TV is still the place you gather to experience entertainment together. The big screen may change size and shape, but it will always win. It may be hard to tear your kids away from their phones for most occasions, but the family ritual of watching TV together endures as much as the TV itself. It can take some negotiating, some debating over which movie, or show is best, but somehow, once the popcorn is popped, and the TV is flipped on, your family resigns itself to some time together. To help make all of that togetherness possible, you need to make sure you have a TV that can keep up with the changing times. You need a TV that can stream, synch, and stay one step ahead. Of course, you also need a TV that’s affordable. Sure, your TV is important, but you can’t spend a small fortune on it. Luckily, finding the best TV under $1000 isn’t actually very hard. As it happens, there are lots of great models that are at or well under that price, making it easy for you to get incredible home entertainment for an incredible price. Here are the six best TVs for under $1000. Dimensions (W x H x D): TV without stand: 56.4" x 33.7" x 3.3", TV with stand: 56.4" x 36" x 10"
This LG Electronics smart TV doesn’t just have a low price, it also has a big screen. For under a thousand dollars you can get a 65-inch screen. Think about that. That’s incredible. Do you remember the days of your 32-inch TV? You thought it was big. You thought the picture was amazing. You thought you were the coolest family on the block. With 65 inches of screen, your kids will put down their phones with ease, and you’ll be able to watch all the latest blockbusters in the comfort of your own home. The built in Wi-Fi makes it easy to stream movies using your various streaming services, and this TV is even certified by Amazon as an optimal streaming TV. That’s something that’s really important. All that adapting that TV’s are doing? Well, part of that adaptation means moving away from cable television to a more streaming-heavy experience. That means that to keep up with all the latest shows and movies you need a TV that can stream without a hitch. Of course, streaming isn’t the only thing that’s important in a TV. It has to generate really great pictures, and this LG is quite skilled at that. It features 4K ultra HD resolution, true to life colors, and a consistent viewing experience from any seat in the house. When there’s no room for you on the couch and you have to ride the movie out off to the side you’ll still get the same great picture. There are probably only a handful of things that you purchase where you care about the brand. TVs are one of them. When you’re making such a big investment, you want to put your money in brands you trust. When it comes to TV, you know about Sony and LG and Samsung. What you probably don’t know about is TCL. Not having that brand recognition can make this a potentially scary purchase, but think about this first. TCL has been around for more than thirty-five years, and it is the fastest growing TV brand in North America. So while you might not have heard of it today, you’re bound to start hearing the name a lot more. That gives you ground-floor access to this stunning 2018 65 inch model. It features 4K HDR, it’s powered by Dolby Vision, and it uses photon technology to provide superior color and contrast at a wide angle. It also uses the Roku smart TV platform to bring you all of your favorite streaming services, and its voice-control remote will let you play movies and shows without fumbling your way through the alphabet using the up and down arrows. Plus, the Roku operating system seamlessly connects your TV with your cable box, and your Blu-ray, or DVD player. That means that you can use one easy interface to access everything you need for your viewing experience. Upscale to a more natural picture with 4K X-Reality PRO. Technology moves pretty quickly, and having the latest model is important. To keep your electronics from quickly becoming obsolete, you often feel like you have to get a head start. If there was a 2020 model on the market today you might spend extra money just for the peace of mind of knowing you could at least use it until 2020. But even with all the hubbub about the newest and shiniest TV, this 2018 Sony model is still worth taking a look at. If you’re looking for the best TV under $1000, this one checks all the boxes. It has every bell and whistle imaginable, and it also has every feature that your family needs. It has an expansive 65-inch screen, a 4K HD resolution, and tons of smart capabilities. You can operate it using any of your Alexa home devices, or a compatible smartphone, or the voice-controlled remote. No more fumbling your way through searches, and no more waiting time switching from streaming service to streaming service to find the movie you’re looking for. Using Google Cast you can send movies and music from your phone to your TV. What you get is a sort of all-inclusive experience. Everything is connected to your television to optimize its performance and your experience. You can access all of your favorite apps, and you can even connect your smart home devices, like your thermostat and your lights, to your television. As if that wasn’t enough, you can also count on Sony’s incredible picture quality to give you bright colors, deep blacks, improved contrast, and more realistic pictures all around. Sports will become so real and vivid to you that you’ll feel like you are playing in the game. That’s because of the powerful 4K picture processing. It actually analyzes parts of each scene and uses an image database to address things like texture, color, and contrast. That’s a pretty hard working TV no matter what year it was made. Bigger isn’t necessarily always better. Sure, when it comes to the best TV under $1000 it’s tempting to find one with the biggest screen for your buck, but that might not always work with your space. Some rooms simply aren’t big enough for a 65-inch screen. If you’re living in an apartment, chances are, your living room would be overwhelmed by a massive 65-inch screen. Those TVs can produce phenomenal picture quality, but it doesn’t work if you’re sitting four feet away from it. That’s why this Samsung 49-inch model is a nice compromise. It’s still a big TV, and it still has exceptional picture quality, but it can work in smaller spaces. It’s great as a second TV, or a nice addition to the master bedroom, as well as a solution for apartment living. It features incredible contrast, vivid colors, and Motion Rate 120 to help you view fast action with stunning clarity. It has built-in Wi-Fi, a voice activated search option, and a clean cable solution to help you organize and eliminate cord clutter for a sleek look from every angle. 4K Color Drive Pro reveals a wider spectrum of realistic colors, creating a more authentic picture. See a wider range of color and contrast than full HD with 4K HDR Pro. The curved screen on this 65-inch smart TV will pull you into all the action, and make your movies, sports, and shows seem more realistic than ever before. It offers vivid color, excellent contrast, smooth fast-action, and an auto-depth enhancer for a truly immersive experience. As TVs continue to adapt and change it’s hard to tell if curved models are a lasting change or a sudden trend, but it’s hard to argue with the viewing experience that they provide. It’s so stunning that the only way to believe it is to see it for yourself. Of course, it helps that is television is also equipped with a range of competitive features that include a voice-activated remote, and a Samsung Smart Hub that makes it easy to find all of your favorite movies and shows, and use all of your favorite apps without any hiccups. Dimensions (W x H x D): TV without stand: 48.5" x 29.6" x 2.3", TV with stand: 48.5" x 31.2" x 9.6"
If you happen to have an Amazon prime membership, then this 55-inch smart TV with Roku interface is a bargain. In fact, if you’re looking for the best TV under $1000 you could just about get two of these for not much more than that. At 55-inches this TV still has a massive screen that can provide an incredible viewing experience, but it’s really the price that earns this one a spot on the list. Price is important. You shouldn’t have to break the bank to find a suitable TV for your family, and this TCL model makes that perfectly clear. The Roku interface gives you access to 4,000 channels and nearly half a million movies and shows. You get excellent contrast, bright bights, deep darks, and exceptional detail, and you get all within a reasonable price. You can pair the TV with your smartphone for a streamlined searching experience, or you can you use the voice-activated remote to quickly and easily search the thousands and thousands of movies and shows or the one that’s perfect for family movie night. You can even use your phone and your TV to display family photos on the big screen. Have a big anniversary or birthday party coming up? Just put together a little slideshow on your phone or computer and send it to your TV. That way, as guests mingle and reminisce, you can easily have a constant slideshow of photos going. It’s fun, it’s nostalgic, and it’s a great way to use your television to its full extent. Plus, you know there are some family photos that you’re dying to see on the big screen. Family TVs, in general, have undergone some major changes in the decades that they have been around, and now it’s time for your TV to take a major leap. It’s time to making streaming easier. It’s time to sync your phone, your TV, and all your other smart devices with just the tiniest bit of effort. It’s time to get a TV viewing experience that is immersive, vivid, and unforgettable. These TVs can help make all of that possible, and they’ll still leave plenty of room in the budget for an endless supply of popcorn and an unlimited Netflix subscription. Most people don’t spend a lot of time thinking about their luggage. They know they have a few matching suitcases buried in the back of a closet somewhere, and they pull them out the one or two times every few years that they need them. It’s usually at that time that they discover that one suitcase is missing a wheel, and the other has a broken handle, and so they head to the store. They buy a cheap replacement that will eventually find its way to the bottom of the closet where it will later meet a similar fate. But you are not most people. Your luggage is your life. Or at least it’s an integral part of it. You’re on the road and in and out of airports on a regular basis. You travel for work and for pleasure, and you know that good luggage is more valuable than a first class ticket. For the inexperienced traveler that might sound like hyperbole, but not to you. After years battling taxi rides, security lines, cramped overhead compartments, and rough luggage handlers, you know that good dependable luggage is the difference between an easy trip and one full of headaches. In your years of traveling experience you have discovered that the best luggage is the kind that can balance durability with weight. Lightweight luggage is a must especially as airlines are increasingly charging more for the weight of your checked and carry on items and enforcing stricter limits. You need luggage that won’t fall apart after a spin on the conveyor belt, but that also won’t take up valuable weight for your actual items. The weight of your luggage also contributes to its maneuverability. You want luggage that you can pick up, toss in the back of a cab, hoist into an overheard compartment, and sprint through the airport with. Luckily, the same things that are important to you when it comes to the best lightweight luggage are important to a lot of the companies that manufacture it. There is lots of lightweight luggage out there to choose from, and here are the seven best pieces to make your traveling a breeze. This 28-inch tall suitcase is billed as the world’s lightest piece of luggage, and at just about four and half pounds, it’s hard to argue against it. Luggage this light means that you can pack it to your heart’s content. You can use every almost every ounce of the airlines weight limit on packing the stuff you actually need. And with its durable high-tensile fabric weave you don’t have to sacrifice performance for weight. It also features a lightweight fiberglass frame and a handle that is built into the body of the suitcase meaning the interior is flat. How many times have you struggled to pack all of your belonging around the awkward ridges that the handle creates? Now you can stop struggling. The wide easy-grip handle helps form the actual framework of this bag, and it gives you a completely flat packing area. You can maximize your packing space, and you can even end up with clothes that are less wrinkled and less jumbled. It comes with a ten-year warranty. It’s stylish, easy to maneuver in and out of cars and through airports, and it’s pretty hard to beat its weight. This hard shell lightweight suitcase is made for all that travel can throw at you. It’s the perfect size for the overhead compartment, but it’s also durable enough to handle a spin through the luggage carousel. It’s usually frustrating when you board the plane, find out there is no overhead bin space for your bag, and you’re then asked to check your bag. You do it because you have to, but you wonder if your suitcase, and your belongings, will make it out all right on the other end. When you get to baggage claim you’ll probably discover that your little nylon carry on is gashed, scuffed, and otherwise pretty beat up. But with a hard shell like this one, you don’t have to worry. In fact, you might be lining up for the best insider travel loophole ever. When the flight is full and the ticket agent asks passengers to volunteer to check their luggage for free, you just might race up to the counter. You’ll get to travel hassle-free, you don’t have to pay extra, and you have the peace of mind to know that your luggage can endure the ride. That way, while everyone is struggling with the compartment space, you’ll be perusing the in-flight entertainment, and putting your drink order. 19" lightweight carry on (21'' with wheels). Easy-access compartment suitable for an up to 15.6'' laptop or tablet. Made of premium lightweight and durable ABS material with silent smooth running spinner wheels for easy mobility. 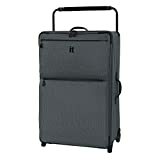 This hard-shell carry on luggage has many of the same attributes as the Matrix model. IT’s great for those carry on turned checked luggage situations. At 19-inches it’s easy to get in and out of overhead compartments, and at less than seven pounds you’ll have no trouble hoisting it up, even when it’s chocked full of supplies. The bonus that this bag has is its exterior easy-access pocket that is perfect for a laptop or tablet. It’s a small feature, but if you travel a lot then you know how vital those small features can be. Anything that can make getting your electronics in and out faster for airport security is a huge plus. You’ve been behind those inexperienced travelers before who fumble with their luggage, who don’t take off their jackets, and who forget to take their computers out of their sleeves. You take a little bit of pride in your traveling prowess. This bag can seriously up your game in that department. You can swoop into line, unzip the front pocket, plop your computer in the plastic bin, slip your shoes off, and place everything on the x-ray belt. A traveler like you has already emptied your pockets and slipped off any metal jewelry before you even got in line. If you could get away with packing just a carry on sized bag wherever you went you would, but some occasions and some locations simply call for a bigger bag. This twenty-five inch Travelpro Maxlite suitcase weighs under eight pounds, and it packs a real punch making it some of the best lightweight luggage for a longer trip. It has an ergonomic countered handle for an easy grip, and its four 360 degree spinner wheels make even the roughest terrain look easy. Even fully loaded, this luggage won’t weigh you down, and you can wheel it from the curbside drop-off to the baggage drop-off without breaking a sweat and without bumping into other travelers. The telescoping handle extends to 38-inches and an extra tall 42.4 inches so you can pop it up, and stride onto the escalator with ease. You can extend the suitcase two inches for those extra long trips, and you’ll have plenty of compartments to store all your clothing and toiletries neatly and efficiently. Though this is a soft, fabric suitcase, it still boasts plenty of durability. Travelpro has built itself a tough reputation by testing their luggage under the most rigorous conditions. This model features water-repellent durable fabric that will keep your belongings safe no matter the conditions. The rain soaked sprint from the cab to the hotel lobby used to leave your belongings damp and wrinkled, but not anymore. 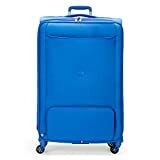 At just under ten pounds, this is one of the heavier pieces of luggage on the list, but it’s also a great weight for its size. At 29 inches tall this Delsey checked bag can easily house everything you need for a major business trip, or a week long getaway that’s well-deserved. It’s made from patented durable Dura-tech material that can put up with baggage handlers, cramped cargo holds, and all the demands of your travel. It also features a handy gadget located next to the handle, which will indicate when the bag is over the standard fifty-pound limit. This isn’t usually as important on an outbound flight. Then you can use your own scale as a test, but when you’re on your way back from Paris and you want to make sure you didn’t stuff too many souvenirs and croissants into your bag, the indicator can help you avoid hefty fees. Because if you think that paying extra dollars for overweight luggage is bad, you should try paying it in Euros. Of course, you will need to be mindful of the weight limits of your specific airline, but the indicator is a good place to start. Roller bags are great and all, but the best lightweight luggage doesn’t always have to have wheels. Sometimes you really just want to be able to swing your bag over your shoulder and go. Even with the new 360 degree spinner wheels, navigating crowds at the airport and still be a hassle, and hoisting your bag on and off the shuttle is awkward no matter how light it is. That’s where this lightweight duffle bag comes to the rescue. It’s compact and lightweight, but it can hold everything you’ll need for your trip and still fit safely in the overhead compartment. It’s made from water resistant Dragon nylon that is durable enough for whatever your travels throw at it. 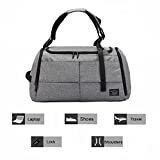 It has a separate zipper outer compartment for your shoes, as well as lots of small compartments for all of your electronics and travel documents. You don’t just have to jumble everything together, and hope you can find what you need when you need it. You also don’t have to worry that your shoes will contaminate the rest of your belongings. This bag is also pretty versatile for a duffle bag. You can actually wear it as a shoulder strap, a cross body, and even a tote bag, all depending on what you’re carrying, and how full you packed it. Making the most of your travel experience, whether for business or pleasure, is all about finding creative solutions to common problems. This backpack carry on bag is a great solution to the common problem of transporting your luggage with you wherever you go. You get the benefits of both a backpack and a traditional piece of luggage, all for under four pounds. You can sling it over your back for easy carrying, but you also get lots of organization pockets, maximum storage space, and a sturdy exterior. It has a compartment for your laptop, and the bag opens nice and wide like traditional suitcases to make packing and unpacking a breeze. This is the perfect bag if you’re looking for a little adventure on your trip. Maybe you’ve opted to extend your conference stay in Arizona to give yourself some time for hiking and exploring the wonders of the Southwest. You can pack your business casual clothes, look professional as you breeze through the airport, and maneuver your bag through the rough desert terrain without looking like an out of place city slicker. The right luggage can help you navigate the highs and lows of travel with as little hassle as possible. The right bag can make security checkpoints easier. It can make getting settled in your seat easier. It can make running to your connecting flight easier. The best lightweight luggage can do all of these things for you, and it’s durable enough to be ready for the next trip.